Hunting - De website van girlswithguns-clothing! 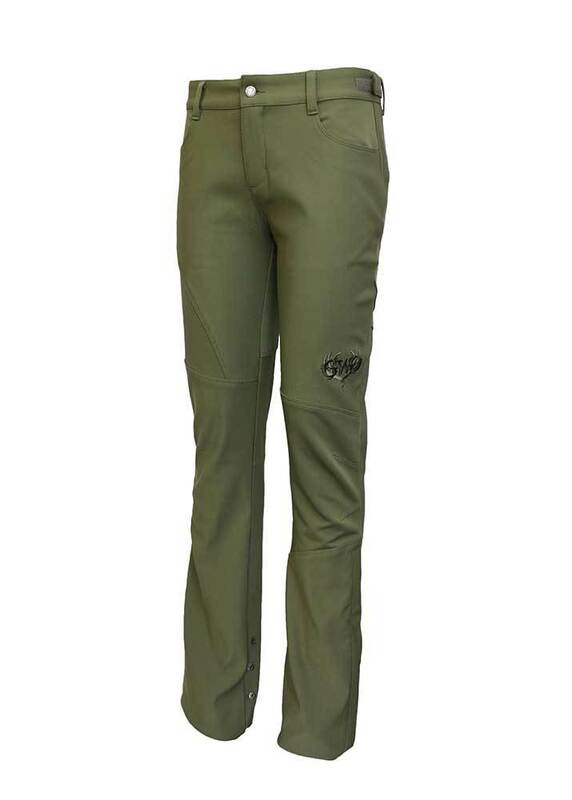 Our new GWG® Lassen Hike Pant in olive green is the perfect everyday outdoor pant! From hiking to international hunting to a day at the range, these lightweight, water resistant pants will be your new BFF. 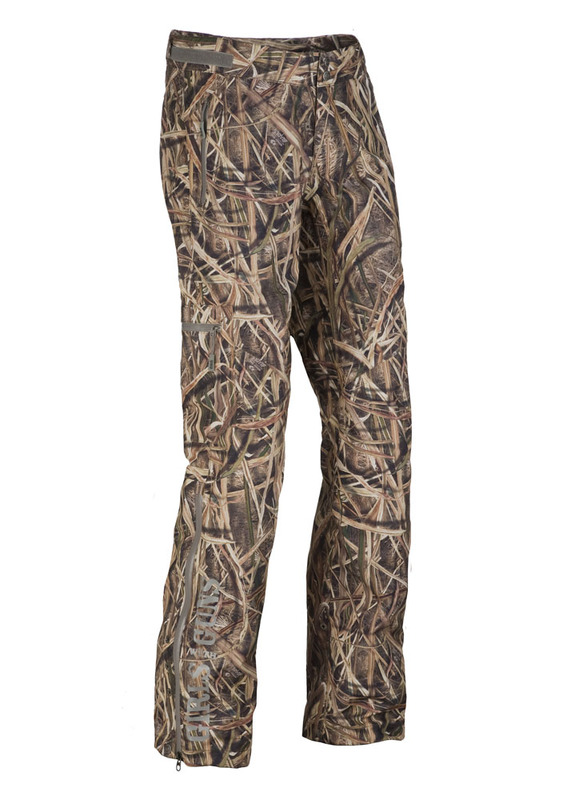 Featuring a 4-way stretch and articulated knees for a better range of motion, the Lassen pant has the same customizable, adjustable waistband and inseam (32-36 inch inseam) as our signature camo hunting pants. 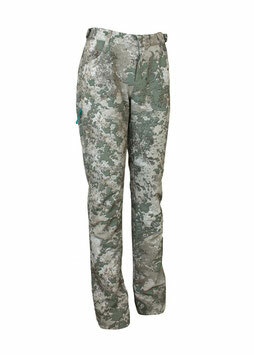 * Silvadur™ fabric featuring moisture-wicking, antimicrobial technology which inhibits odor-causing bacteria. The newest addition to our hunting line - the Ayton Fleece Jacket in Mossy Oak® Break-Up Country® - is perfect for a backcountry thunderstorm or Friday night lights. 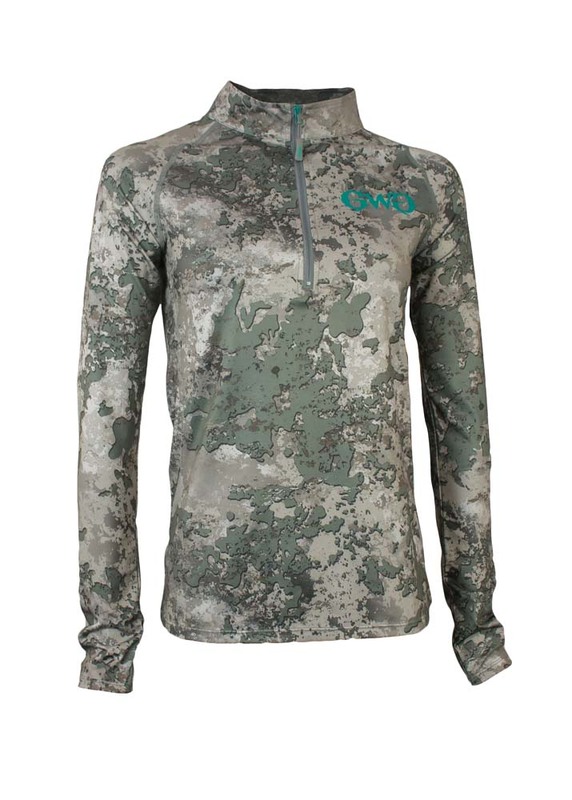 With its innovative bonded 3 layer fleece, this fleece jacket defies nature with its 100% waterproof and windproof, breathable protection. Nylon brushed tricot fabric gives this relaxed fit jacket a super soft feel. Available in Mossy Oak® Break-Up Country® only. 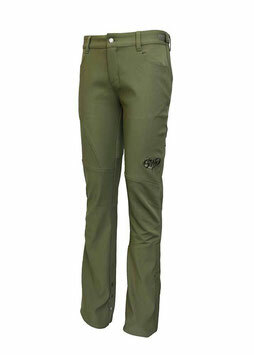 Hight quality rain garments can be the difference between a successfull hunt and sitting in the lodge. 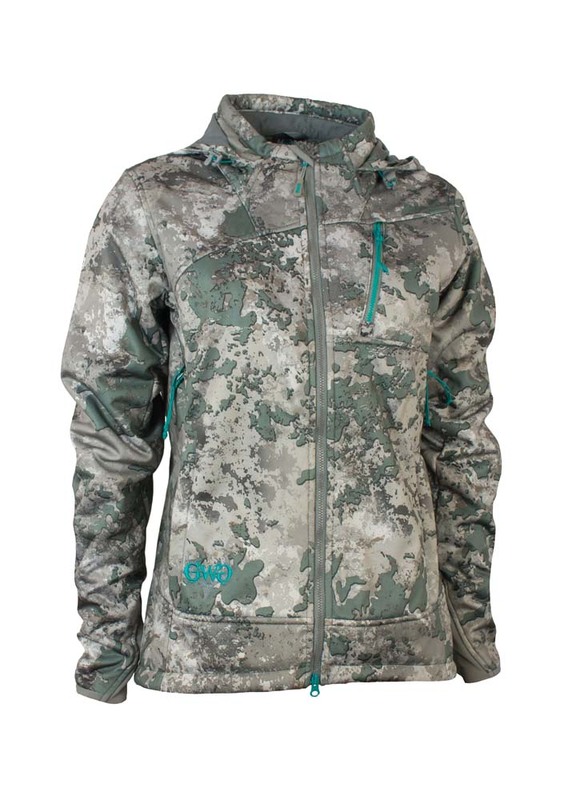 GwG has disigned rain gear with the extreme huntress in mind. 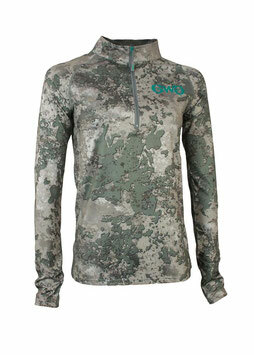 This rain jacket boasts an impressive list of features to keep you warm and dry. Rain gear has a 3-layer seam sealed stretch fabric, waterproof zippers, a Hi-Vis 3 piece hood with rain brim, one hand hem and hood adjustment and 1 chestand 2 hand warmer pockets. Keep the huntress in mind, we've included a license loop and an articulated elbow design. GwG has disigned rain gear with the extreme huntress in mind. This rain pant boasts an impressive list of features to keep you warm and dry. Rain gear has a 3-layer seam sealed stretch fabric, waterproof zippers, elasticized waist, inner gripper waistband, bottom leg zips and 2 hand warmer pockets. 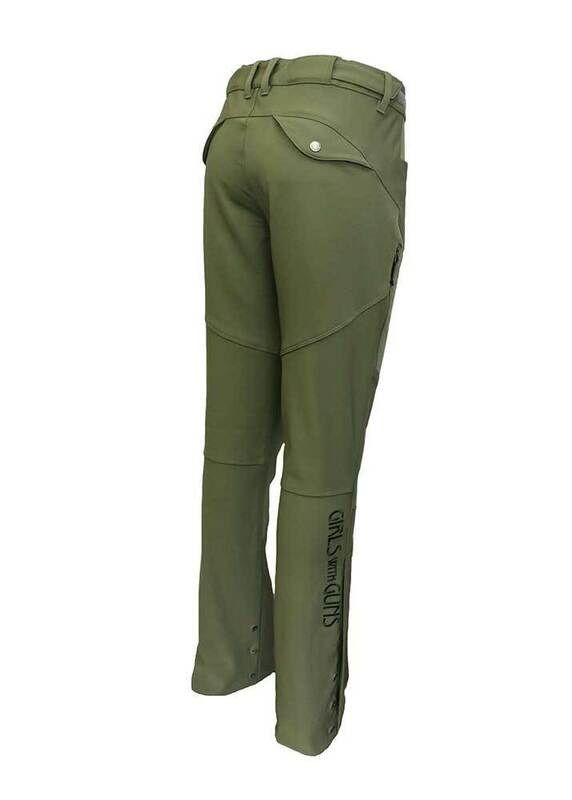 Keeping the huntress in mind, we've included articulated knee and crotch gusset disign. 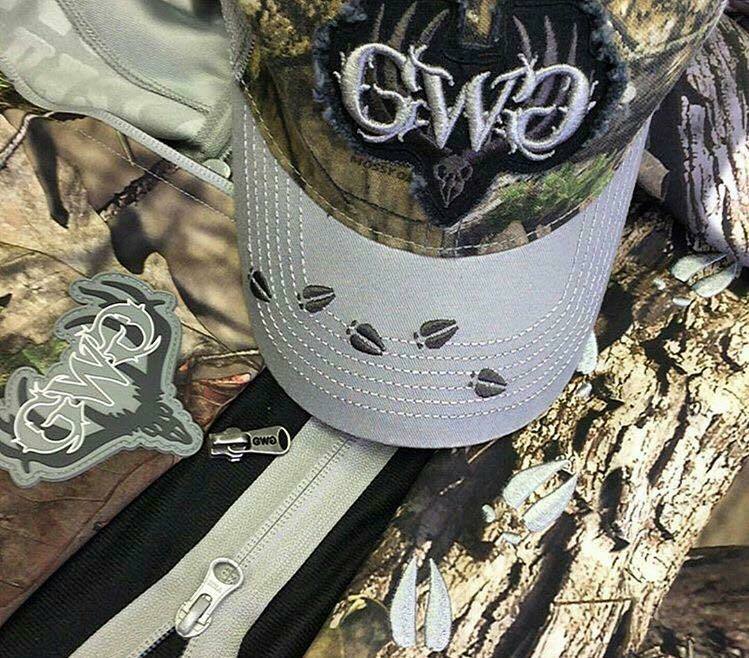 GWG is bringing camo from the forest to the fields with the new Waterfowl Jacket (mossy oak blades), This 100% waterproof, breathable jacket is the perfect addition to your duck or goose huntinggear. Featuring Primaloft Silver Insulation and hidden hand warmer pockets to keep you warm while an adjustablewaist, hood and cuffs will keep you dry in any situation. 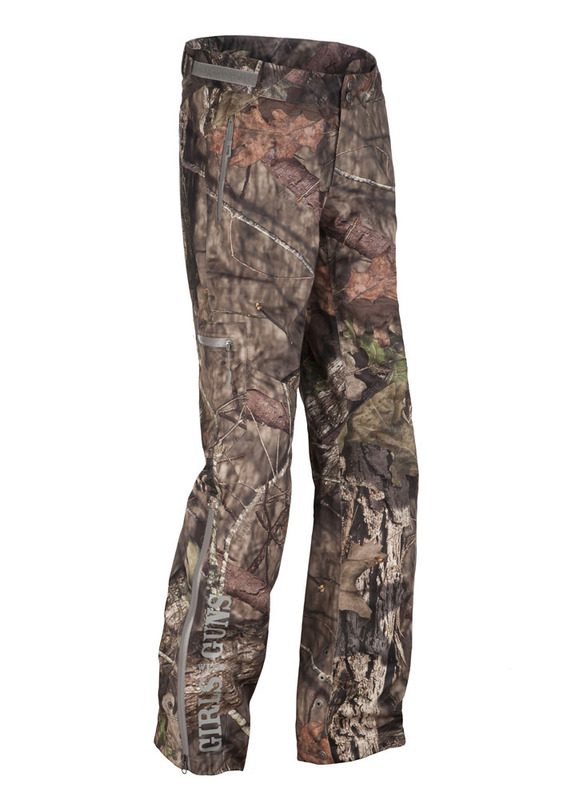 Fitted elbow and shoulder sections for greater range of motion and handy cargo pockets with internal shell loops will make his Waterfowl Season the best ever. Matching pant for your waterfowl jacket.